Name Change In Florida: How Can I Change My Name? 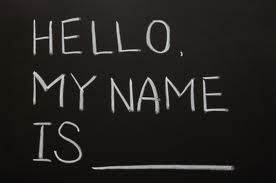 Reasons for a name change can vary widely. The reasons a for a name change could be as unique as snowflakes or fingerprints. Sometimes a woman going through a divorce wants to change her name back to her maiden name, or someone with dreams of becoming a big shot movie director may want a name that is worthy of success. 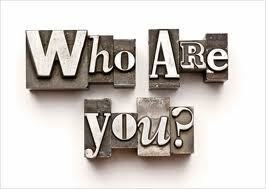 The most common is a name change associated with a stepparent adoption or adoption in general. Whatever your reason for a name change, the process of getting a name change in Florida is pretty simple and straight forward. 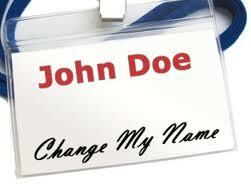 A name change is also a relatively inexpensive process. 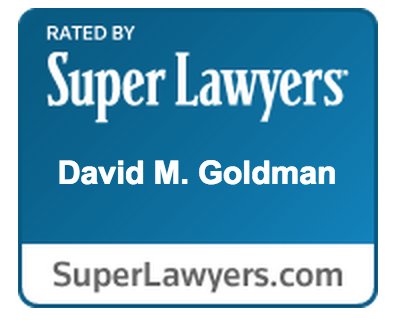 Our experienced Jacksonville name change lawyers at the Law Office of David M. Goldman, PLLC can help. The Process has three parts: (1) The Petition for Name Change; (2) Fingerprinting/Criminal History Check; and (3) The Hearing. The petition submitted to the court must have certain information about the petitioner, including current name, the name you wish to use, prior addresses, mother’s and father’s names, professional license, information, criminal history, and bankruptcy information, among other things. The petitioner must swear that his or her name is not being changed for some illegal or improper purpose, such as to escape an outstanding warrant or to avoid creditors. A petitioner has to have his or her fingerprints taken and a criminal history records investigation done by the Florida Department of Law Enforcement (FDLE). The results will be sent directly to the court. Being dishonest about your criminal history can be a reason to have the Petition for Name Change denied. I live life with the blessing of being fascinated by small, simple things. I can’t begin to tell you how excited I am about the new seedlings that have sprouted in my garden. It’s a very warm and fuzzy feeling, but It’s not quite like bringing a new child into the world. If you are a parent yourself or have shared in the experience of welcoming a child to life, you know that the new addition to the family brings in an avalanche of beautiful emotion. What you may not be aware of is that Stepparents often feel a similar sense of elation when they adopt their spouse’s children. This is an interesting case in that it clings to the outdated notion that a married woman is an extension of her husband. It will be interesting to see how this turns out. Can the other parent of my child change the child’s name without my consent? Obtaining a name change in Jacksonville, Florida is generally pretty straightforward, especially if you obtain a Jacksonville Name Change Attorney, as the process is typically uncontested. 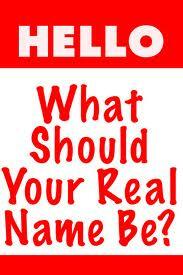 That being that case, a person can usually obtain a name change without much hassle. 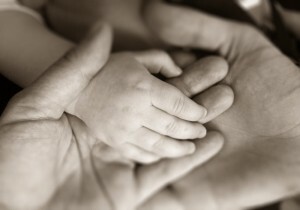 Obtaining a name change for a minor child, however, may involve some family law issues. Family law in Florida — and any state, for that matter — can be a tricky issue for both the state legislatures and the courts. The general idea is that courts are busy enough and do not need to be inviting trouble. This is the case with obtaining a name-change for a minor child. Where both parents agree to the name change, the process is usually smooth: a Jacksonville Name Change Attorney can help you prepare the documents and, so long as no issues arise, the name change should go through. Among the various legal documents that will ensure that you and your gay or lesbian Florida partner are protected, a change of name through a legal proceeding is also an available option. 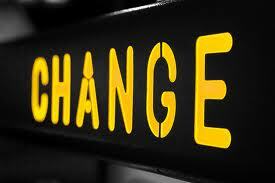 The change of name statute is found at Florida Statutes, Section 68.07. The Petition must be verified (sworn under penalty of perjury) by the person requesting the name change. The petitioner must be a resident and domiciled in the county where the change of name is sought. The petitioner seeking a change of name (other than the restoration of a former name) must submit a set of fingerprints for the purpose of processing a state and national criminal records check. These results are then transmitted to the clerk of court. A Petition for name change that is “facially sufficient”, follows the requirement established by the statute and is not filed for a wrongful or illegal purpose must be granted. Although the trial court has the authority to deny the petition, denial will not be upheld without evidence that the petition is being filed for an illegal or wrongful purpose or that granting it would result in harm to others. I Want To Change My Name and Live in Florida. What Do I Do? Newly married or divorced individuals can simply have their name changed through their marriage certificate or their divorce decree. However, if someone wants to change to a new name for other reasons, such as they simply don’t like their birth name, a court order is required. Should you be a divorcee and did not have your maiden name restored in the divorce decree you still need to file a Name Change Petition with the court but you will not need to do a criminal background check. Don’t Like Your Name? Change Your Name! Jacksonville area residents seeking to change their name may do so by filing a Petition for Change of Name with the court in the county in which they reside. However, there are a few hoops that must be jumped prior to the court granting a name change. In particular, fingerprints must be submitted for a state and national criminal records check. However, this does not apply to women who are changing back to their maiden name. In Jacksonville the name change petitioner can have their fingerprints scanned at the Jacksonville Sheriff’s Office for a nominal fee of $5. Also, the petitioner must make sure the Petition is verified and show numerous other things, including: the Petitioner is a bona fide resident of the county where the name change is sought, whether the Petitioner has ever been adjudicated bankrupt and if so, when and where, and whether any money judgment has ever been entered against the Petitioner. A Jacksonville Name Change Attorney can help with this process by drafting the Petition that includes the proper and necessary language. After everything is filed and received by the clerk’s office a hearing on the Petition can be scheduled. Scheduling a hearing can sometimes be difficult for pro se petitioners; whereas petitioners with a Jacksonville Name Change Attorney tend to have little to no issues. The hearing consists of the Petitioner giving brief testimony to a Jacksonville Family Law Judge. If there are no issues the Jacksonville Family Law Judge will sign a final judgment, making the name change official. Don’t Like Your Name? Change your name. Jacksonville area residents seeking to change their name may do so by filing a Petition for Change of Name with the court in the county in which they reside. However, there are a few hoops that must be jumped prior to the court granting a name change. In particular, fingerprints must be submitted for a state and national criminal records check. In Jacksonville the name change petitioner can have their fingerprints scanned at the Jacksonville Sheriff’s Office for a nominal fee of $5. After everything is filed and received by the clerk’s office a hearing on the Petition can be scheduled. The hearing consists of the Petitioner giving brief testimony to a Jacksonville Family Law Judge. If there are no issues the Judge will sign a final judgment, making the name change official.